Savor a unique scriptural experience with this beautiful book that combines text adapted from Jacob 5 with stunning artwork and calligraphy. A gorgeous addition to any LDS home, it will enhance your understanding of the exquisite symbolism in this significant story. 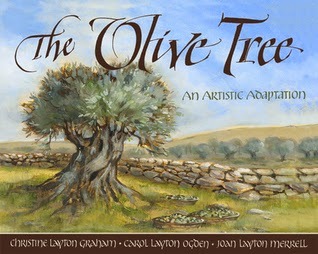 This is a beautiful book of paintings and calligraphy depicting the allegory of the olive tree from The Book of Mormon. I appreciated the loveliness, however I was expecting more interpretation from the original content. The text is word for word from the scriptures, and somewhat difficult to read in calligraphy form, especially for children. The art depicts literally what is read in the verses rather than the meaning behind the allegory. It would make a nice gift for a teenager or adult studying the Book of Mormon.